Car and truck accidents are a significant contributor to personal injury not only in the Stratford area but throughout Canada. 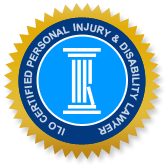 When people are injured in any kind of accident, whether the result of a motor vehicle collision or another kind of accident, the pain and suffering typically extends from the victim to their families. The impact to all those affected may be financial, emotional and physical, and is often all three. A variety of reasons may be the causal factor of a motor vehicle accident and a few common ones are mentioned below. Many accidents can be avoided by making the simple decision to adhere to traffic rules and regulations. Ensuring that you are well rested before driving, that your vehicle is up-to-date in servicing by a licensed mechanic and by limiting the use of your cell phone unless using bluetooth and other recommended devices when traveling can all go a very long way in ensuring road safety for yourself, your passengers and other travellers. The following traffic related offences were recorded in Perth County in early 2015 and reflect the kind of collisions that commonly occur throughout Ontario. Excessive speeding: Two men and a woman were pulled over for speeding in separate incidents. In both cases, the penalty was a loss of their licence and the use of their car for one week. Over the 2015 Easter weekend, there was a hundred and fifty-five percent increase in the issuance of speeding tickets in Perth County as well as four distracted driver charges. The latter is a substantial increase from previous years. Fortunately, there was also a significant decrease in accidents in the Stratford area over that same weekend. Road rage: A driver of a Volkswagen braked hard in front of another driver of a pickup truck at the Wildwood roundabout causing a collision. The driver of the Volkswagen exited his vehicle and verbally and physically assaulted the driver of the pickup before returning to his vehicle and driving off. Stratford area police were urging any witnesses of the incident to come forward. While car accidents may be one of the most common contributors to personal injury, there are other practice areas in which the attorneys at Injury Lawyers of Ontario (ILO) have expertise and experience in defending. At ILO, our firms are well versed in personal injury law and civil litigation. Our clients are like family to us and we represent their needs in a professional manner and do everything in our power to attain a fair and well deserved verdict for all our clients. If you have been hurt or injured in an accident as a result of the likely negligence of another individual or company, please call an ILO law firm conveniently located in communities throughout Ontario. Our firms are all highly experienced and fully staffed and can accommodate your specific needs. If you are unable to visit our office, then we can come to your residence. Call or visit us online now for a free initial consultation and start the process of your desired recovery now.